We are always adding ideas to the topics above, so click on one to get started! Honoring Prize Possessions – Our articles will include ways to display your special things; ways to keep the memory, but reclaim the space taken by sentimental keepsakes; and making sure your bequests are understood. 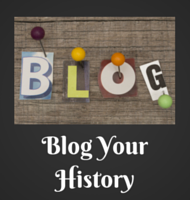 Blog Your History – We will explore the many ways you might consider using a blog to share your stories, your family history, and family photos. We will also discuss the many different platforms available as well as pointing you to resources for using them. 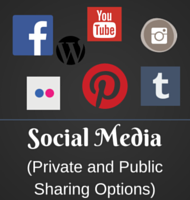 Social Media – Most people are surprised by this option, but honestly there are some super simple Social Media platforms that are very effective for sharing your stories, photos and family history. Some of them can even be used privately with only the people you invite being able to see them. They are also usually completely free!